Serums are designed to penetrate the skin and address skin conditions on a deeper level. They are typically made with vitamins, lipids, or antioxidants and are usually a thinner liquid than your average moisturizer. Serums are created with smaller molecules that are able to penetrate deeper into the skin and thus are extremely effective. A serum is applied underneath a moisturizer, so this would be the next step after toning the face. You would then apply your desired moisturizer. Serums can be applied to the whole face or just to those areas that you feel need a bit more *help*. Serums quickly moisturize and rejuvenate the face for faster visible results. 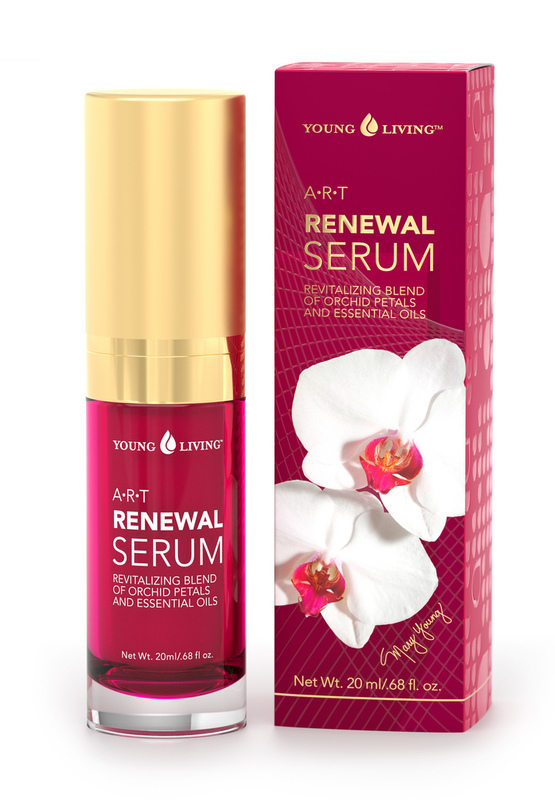 Young Living's ART Renewal Serum adds a unique blend of traditional Chinese botanicals along with moisturizing, delicate orchid essence to address specific skin concerns. The ART Renewal Serum contains: Sensation Essential Oil Blend, Myrrh, and Frankincense Essential Oils, Lactobacillus Ferment, Phalaenopsis (Orchid Flower), Crocus Sativus, and Sodium Hyaluronate. 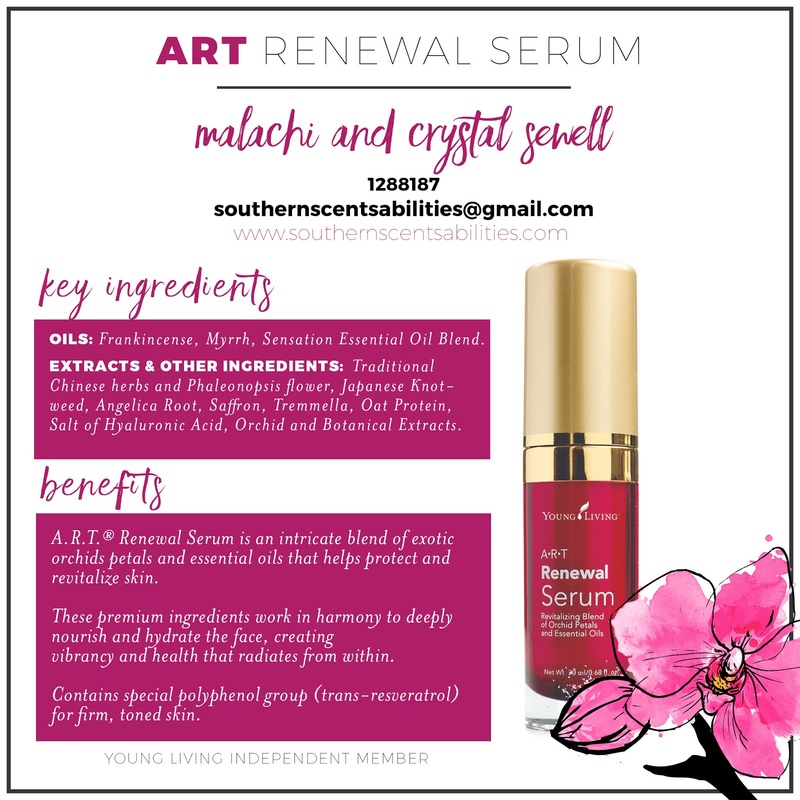 I have been using this Serum since last November and I absolutely love it. The light scents of vanilla from the Orchid is just lovely. Next time I will talk about *refining* products that are formulated particular concerns.